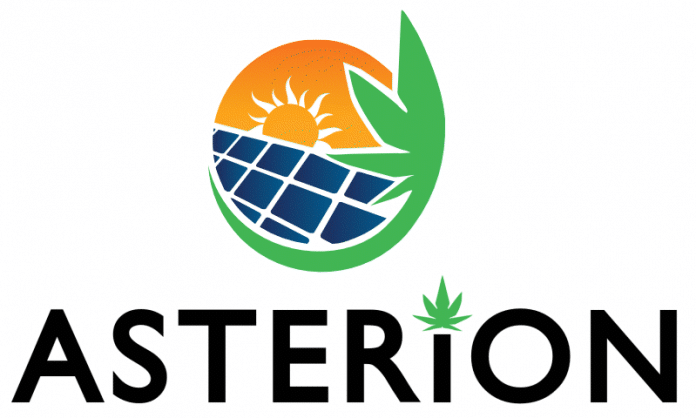 Asterion Australia Pty Ltd’s Toowoomba medicinal cannabis venture has been awarded Major Project Status by the Australian Federal Government. The Toowoomba project, which we first mentioned in February, will be located on a 75-hectare site adjacent to Wellcamp Airport – around 23 kilometres from the heart of Toowoomba in Queensland. When completed, it will include a 40 hectare glasshouse for cultivation and processing, plus a research centre, manufacturing facility, administration and staff facilities. he Toowoomba Project is expected to be implemented in three stages, commencing in the last quarter of this year. It will involve a total capital cost of around $450 million. It will also be a huge employer, with a total daily direct workforce of an estimated 800 workers, plus 300 part time and shift-based positions. It’s estimated the facility will produce 500,000 kg of medicinal cannabis product annually with an export value in excess of $1 billion. A staggering 20,000 plants will be harvested per day. Major Project Status will provide the project with coordination and facilitation support as well as a single-entry point to a coordinated approvals process. Among the criteria needing to be met in order to gain Major Project Status, a project must have reasonable commercial viability, an estimated investment of AUD $50 million or more, be of strategic significance to Australia and require Australian Government approval(s). “The granting of Major Project Status recognises the national and strategic significance of this project through its contribution to economic growth, employment and contribution to regional Australia,” said Minister for Industry, Science and Technology Karen Andrews. Federal Member for Groom John McVeigh is very pleased the area has attracted Asterion’s project. And of course, Asterion CEO Stephen Van Deventer is pretty chuffed to be gaining a helping hand in what can be a very difficult regulatory area for companies to navigate. “Asterion looks forward to working with the Federal and Queensland Governments and the Toowoomba Council throughout the development process, to deliver the largest and most technically advanced glasshouse in the world to the south eastern Queensland community and to deliver the finest quality in medical cannabis products to patients,” stated Mr. Deventer.